Your buyers believe they’ve found the house of their dreams. Good for them, and good for you. But then you discover there’s a tax lien on the property, and your buyers are ready to back off. Do you let the red flag kill your sale? Not if the agreed-upon sale price will settle the seller’s debt. Real estate taxes, as you know, are collected by state and local governments to fund a variety of public services. According to the U.S. Census Bureau, nearly $18.3 billion in property taxes were collected in the U.S. last year. If a homeowner fails to pay the property tax, a lien is placed on the property, and the lien must be paid before a sale can take place. 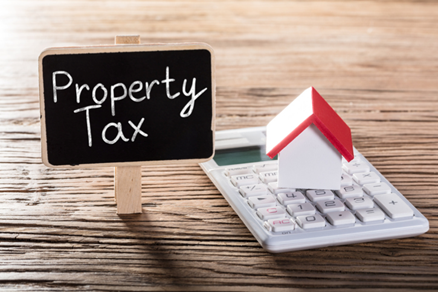 But while the mention of a tax lien may scare your buyer, the truth is that if the seller has enough equity in the property, the tax lien can be paid off with the proceeds of the sale at closing time. As your title insurance partner, whose first job is to research title and discover any defects, we can quickly determine the presence of a tax lien and/or other outstanding liens. If the total of these liens, combined with the existing mortgage, add up to more than the sale price, you may be looking at a short sale, and the process may be more problematic than your buyers are willing to undertake. But if a tax lien is the only obstacle, and it can be cleared - or cured - with the proceeds of the sale, that’s good news for you and your buyers. In any case, title insurance can be key. When you contact your title rep early in the sale process, your buyers can be sure by or before closing that the title of the property is free and clear of liens. Title insurance also offers protection against other types of liens, such as a lien arising from unpaid child support, for example, or from unpaid association dues, that were undiscovered in the initial discovery period. If the buyer has purchased title insurance, then any liens that were missed prior to closing may be covered under a title policy. You may also want to remind your buyers that if they do not purchase owner’s title insurance, then any lien discovered after closing - say, from a contractor who wasn’t paid by the seller for repairs on the house - becomes the new owner’s responsibility, as the mandatory title insurance purchased for the mortgage lender protects the lender, but not the buyer.